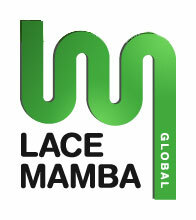 Winnipeg, Canada- December 29, 2010 - Indie game developer Tomkorp announced today that a retail version of their PC puzzle/strategy game Clones will be published by Lace Mamba Global, a European based game publisher, and is anticipated to be released worldwide before summer 2011. Hey everyone! Thanks for all your patience over the last few years as we worked hard to create this game. 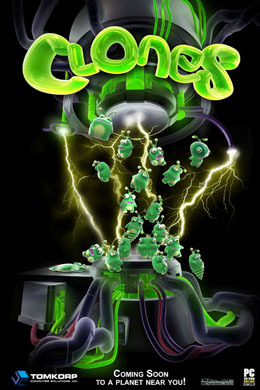 We were supposed to release the game at the end of 2008, but we didn't want to rush it, so we kept working at it to create it based on our real vision of what we wanted the game to be. You can view of official ESRB rating for Clones here. 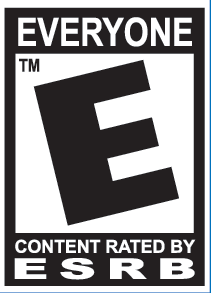 Clones is rated E for everyone. Even your grandma can play! A look at what Clones has to offer! What a relief! We submitted Clones to the 2010 Independent Games Festival Main Competition and we feel pretty good about it. We spent the last few weeks polishing up the game, play testing the levels, fixing bugs, etc. The version submitted has most of the levels included and even includes working multiplayer over LAN. I was at a friend's place last night and we played multiplayer Clones for a few hours. Yes, hours.. it was so much fun! I can't wait to release this game so everyone can try out the addicting multiplayer action. After a whole summer of hard work, we finally have ready a new trailer of Clones for your viewing pleasure. This video shows a teaser of 5 out of the 11 CloneMasters, one from each of the 5 themes around the planet. If you look carefully you will see the use of clone decorations (e.g. clone wearing sunglasses), and stamps (used in multiplayer to taunt your opponent). The video reveals the graphical and musical diversity in the puzzles as well as a glimpse of some multiplayer matches in action. In our previous article, we talked about the design of the clones character. 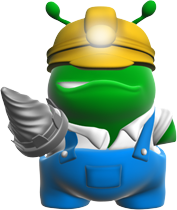 In this article we'll discuss the process of designing CloneMasters. 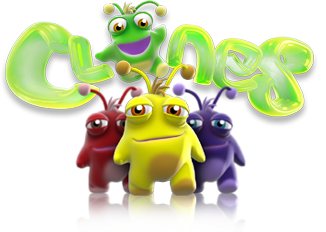 We added these creatures to the game to create an identity for the player (as a new CloneMaster in training) and also give greater meaning to the presentation of levels on the world map. 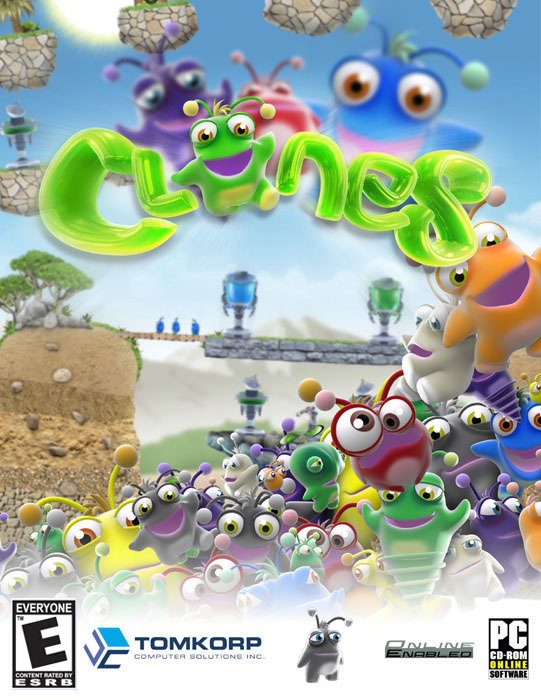 When we first started working on Clones it was all "programmer art" (since we were both programmers) and the main focus at the time was on the multiplayer gameplay. When we made the decision to go commercial we knew we needed to hire a professional artist and come up with a new look for the clones to make the game more appealing. This article explains the steps we took to design the Clones character.